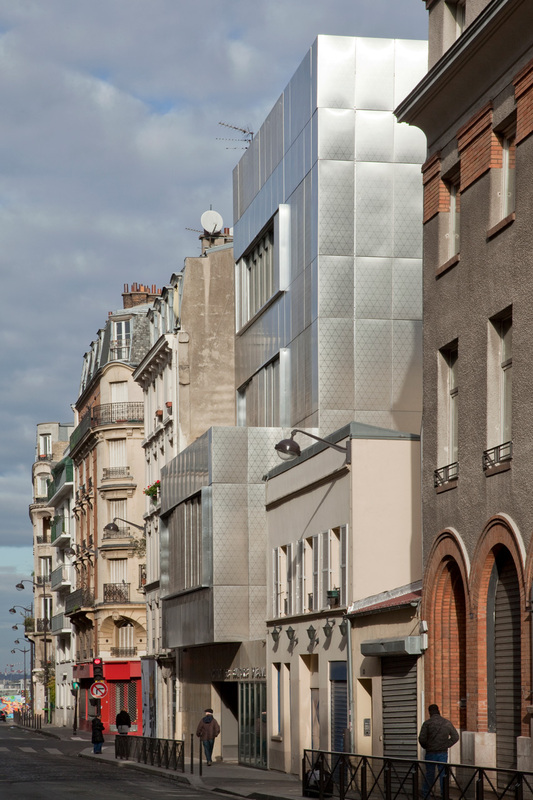 The Institute of Islamic Cultures is located in the 18th arrondissement of Paris and houses reception areas, community spaces, prayer rooms, research and educational spaces as well as an auditorium for 200 people and a hammam. 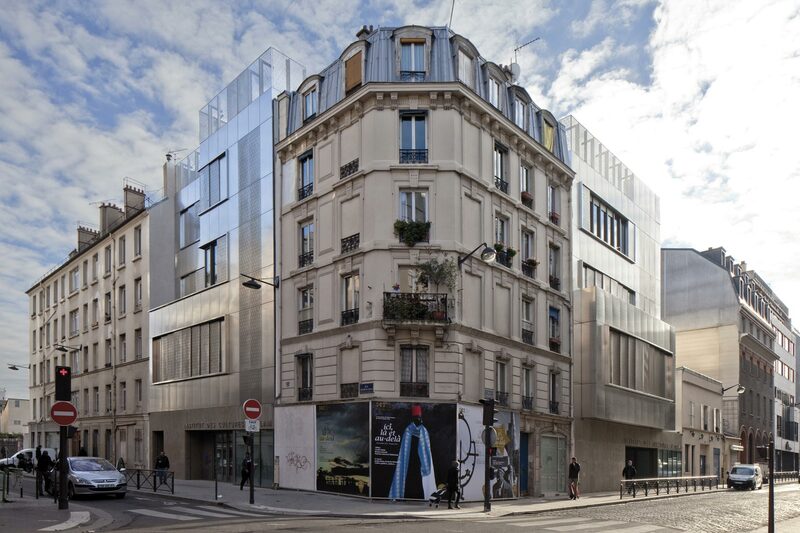 The Institute is one of few buildings in Paris with a hybrid ventilation system combined with an earth duct. It is ventilated naturally for most of the year and relies on mechanical support for high occupancy loads only. Triple glazing and an exterior insulation system have been installed to ensure a building envelope with high thermal performance. 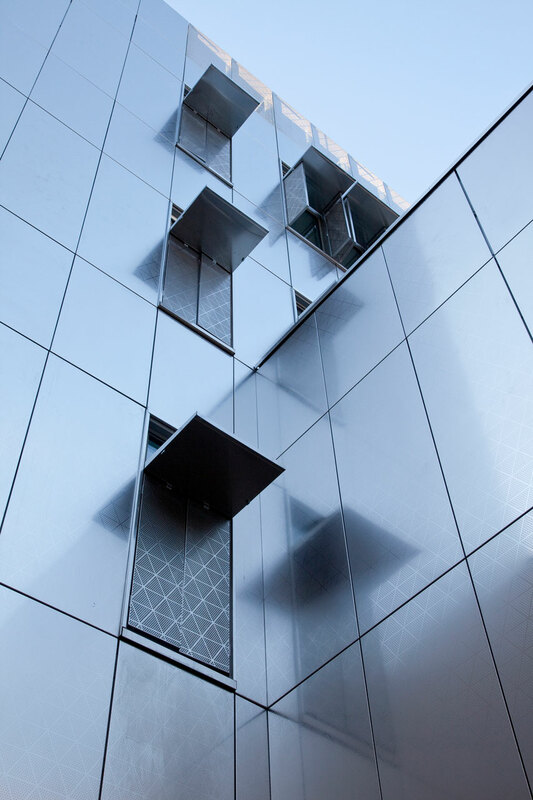 Solar gains are managed by an external shading system including steel panels with a mashrabiya (North African lattice) pattern. 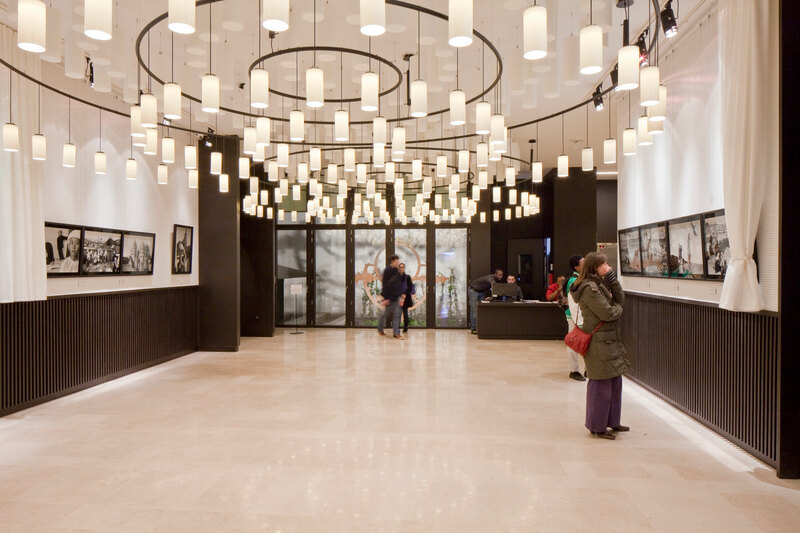 Light shelves reflect the natural light from the perimeter to the interior offices, improving visual comfort. 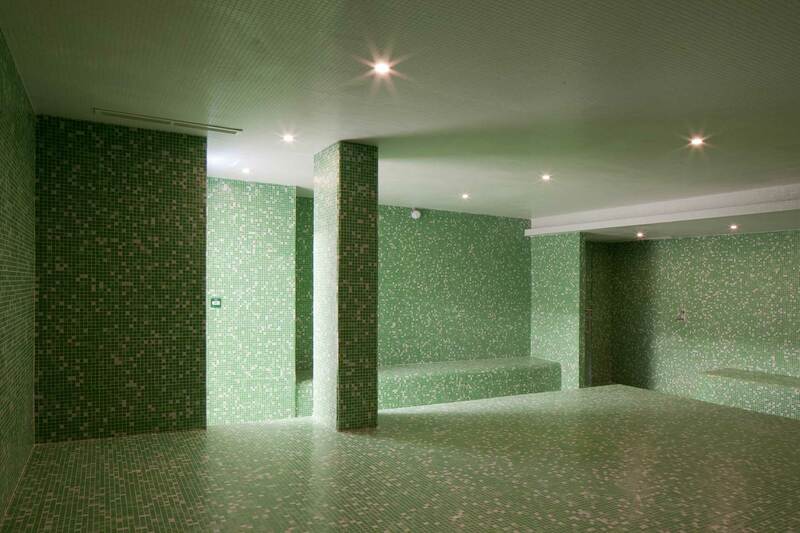 Heating is provided by an active slab system, which increases the thermal comfort while reducing the energy demand. In addition radiators allow occupants to adjust the room temperature based on their individual thermal comfort. 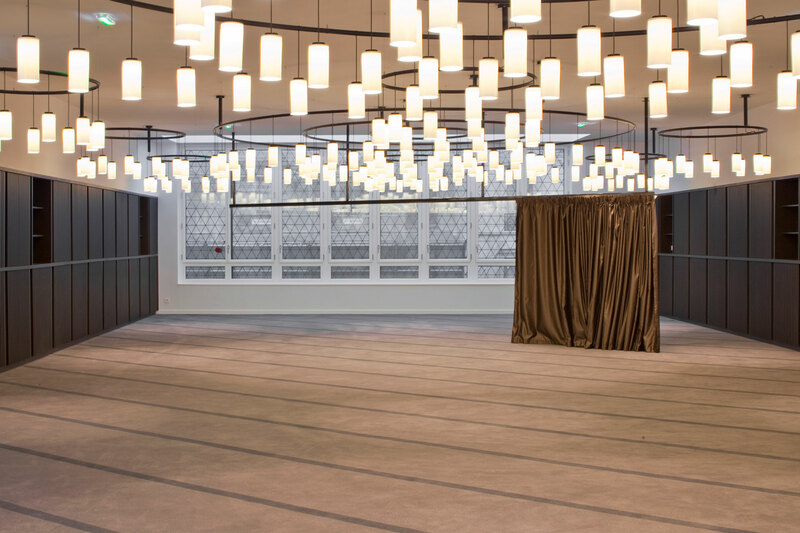 The high ceilings of the prayer rooms and circulation were decisive for the following ventilation concept: earth ducts are utilized to precondition the fresh supply air; the used air is extracted via an exhaust chimney driven by a natural stack effect. Overall energy consumption is further minimized by a heat recovery system integrated in the chimney. Furthermore, air conditioning was renounced in favor of cooling by night time air flushing only. 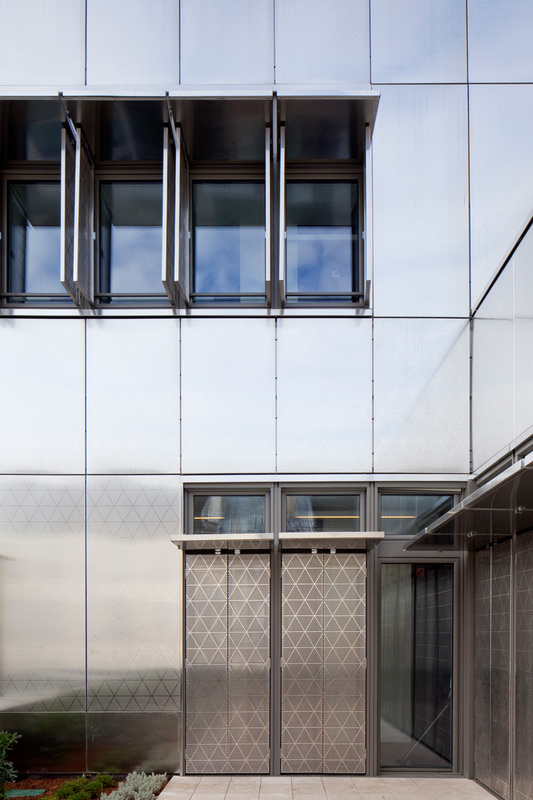 Operable windows in the offices allow for as much natural ventilation as possible. Domestic hot water is heated by solar thermal collectors with a gas boiler as a backup. All these measures enable the project to meet the Climate Plan of Paris, namely a primary energy consumption of less than kWh 50 / m² / year.